In order to get quite high speed and highly accurate dot measuring result for all kinds of industrial precise device manufacturing work fields, it is not helpful at all for users to still make use of a quite simple do measuring tool such as those of manual or mechanical dot aligning tool etc. On contrary, on basis of the use of high power pro red dot laser alignment, it is generating high purity and highly bright red laser light from 635nm red laser diode. Under condition that this compact structure made high power 635nm red laser module is properly installed and adjusted, it would always make sure of super clear and high speed dot measuring result effectively. It is not realistic for users to make dot measuring work at quite long distance with formal manual dot measuring device. It is quite hard to assure no mistake dot alignment by manual operation. When high power pro red dot laser alignment is available with wide range output power of 150mW to 500mW, it is generating extremely intense red laser beam and highly clear red reference dot targeting in distance. This laser diode module is designed with high attention to industrial stabilization. Inside its durable aluminum alloy housing tube, it is being made with metal heat sink cooling system. Whenever the real alignment laser dot targeting is processed for quite long term, it is always workable with superior thermal emitting and then maintaining stable enough red dot targeting in use. In process of quite long distance dot measuring work, high power pro red dot laser alignment is being made with excellent glass coated lens. It is not the same as formal plastic coated lens, once it is workable for quite long distance, red laser dot is still clearly visible, without any appearance of laser light decay or blur in proper dot aligning use. 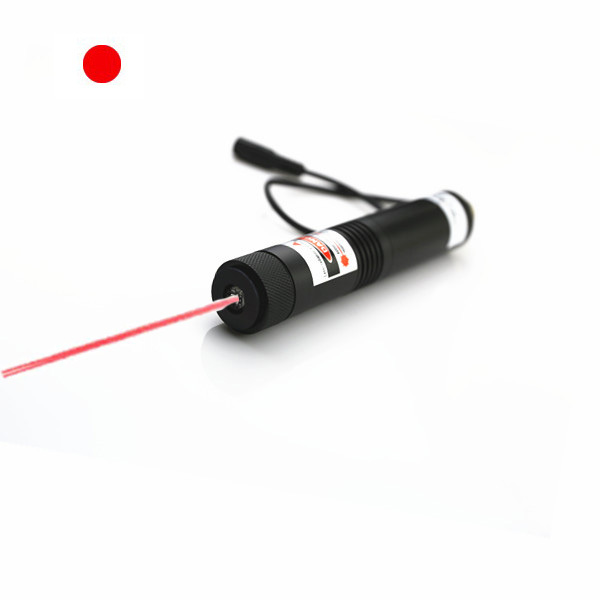 This high power 635nm red laser module is keeping super strong laser beam transmittance, on condition that it is being made with special equipment with APC, ACC driving circuit board, it is making sure of the most efficient preventing of electric current impacting and getting perfect control of improving temperature of laser module tube. Whatever kind of industrial and high tech dot measuring work fields, even though dot measuring work is processed on quite hard reaching place, high power red dot laser alignment is still getting the use of a laser alignment mounting bracket, which is able to work with the clearest dot instruction on any hard reaching surface. When this alignment laser is generating quite powerful laser light and thermal energy, it would always major part to wear 635nm wavelength preventing laser safety goggles, and then achieving no danger measurement perfectly.